It’s the showstopper you have been waiting for! 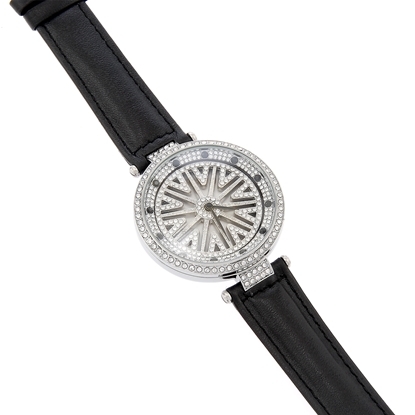 Fifth Avenue Collection's “Alluring Glamour” spin watch is utterly mesmerizing. Studded with hundreds of Swarovski crystals, the face is uniquely designed to move with the slightest movement of your wrist. This high-luxury watch is finished in a rich rhodium and features a genuine black leather strap. Complete with a Japanese movement and stainless steel back. Boasting the upmost in sophistication and quality, our “Alluring Glamour” watch is sure to draw all eyes to you! 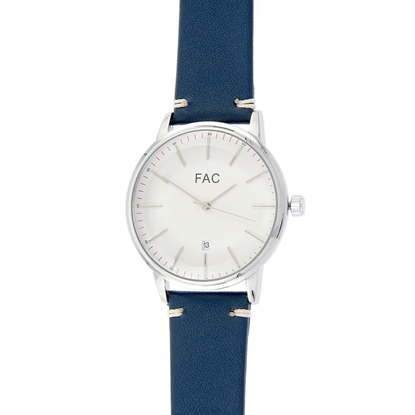 Bring a stylish feel to your look when you wear our handsome "Big Time" men's watch. This bold timepiece features a durable and sleek stainless steel watch face with Japanese Seiko movement and a smart navy colored genuine leather strap finished with unique stitching detailing. 9" strap - nickel and lead free jewellery. 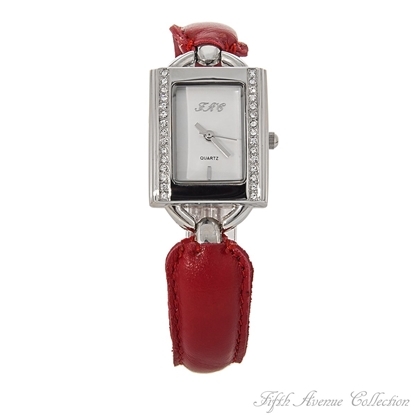 Be on time and on trend when you wear our luxurious "Eternal Glam" watch. Featuring a uniquely designed watch face with the perfect touch of shimmer, complete with a fine Seiko Quartz movement, beautiful grey genuine leather strap and our favorite rose gold finish, this one of a kind beauty is sure to stand out! Nickel and lead free jewellery. 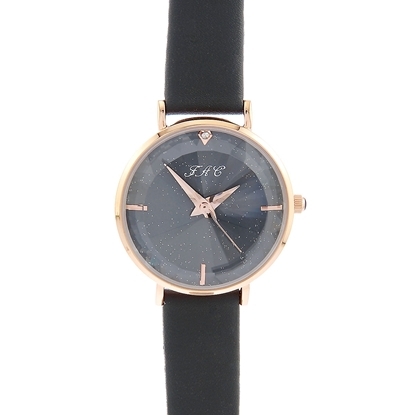 Cast a spell when you wear our beautifully unique and irresistible "Magic Spell" spin watch. Showcasing an exquisite Swarovski crystal studded watch face that is designed to spin with the slightest movement of your wrist, this fine timepiece is uniquely stunning. Boasting a precise Seiko Quartz movement and a rich genuine leather strap, this luxurious accessory is sure to take center stage! Nickel and lead free jewellery.